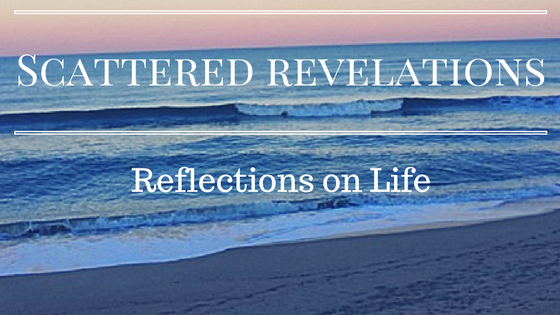 This is my sermon from this past Sunday, Feb. 16 at the Unitarian Universalist Congregation of the Outer Banks. I suspect that many of you are like me, you are really ready for this long cold winter to be over! In fact I suspect that many of you also are more spring, summer and fall people than winter people. There are winter people. They love the cold. They love snow. 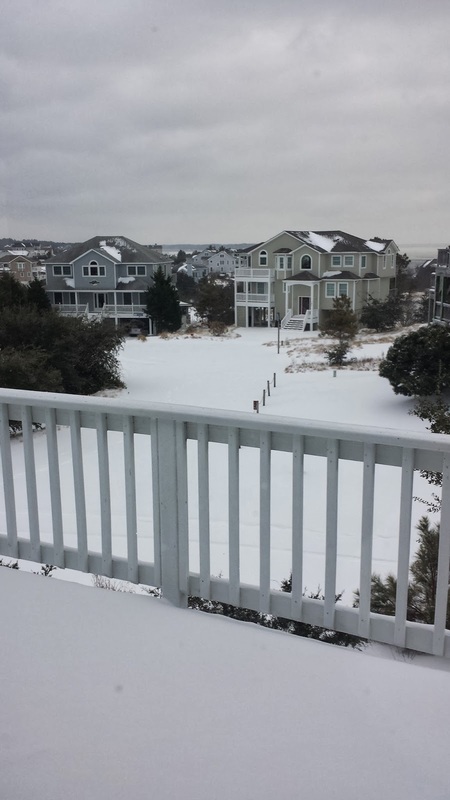 They fully embrace the cold, icy beauty of winter and most of those people, that I know any way, do not live in places like the Outer Banks or even Williamsburg, VA! I struggle each year with winter. I often say that winter is the price I pay to enjoy gorgeous springs, warm summers and the glory of fall! I do not like being cold or the short days. Maybe it has to do with spending eight and half years of my childhood in southern California with a pool and every day of summer was hot and sunny. I swam every day; played outside every evening until dark. Summer is my favorite season – I love the sun, how warm it is and in particular warm summer nights! Love going outside in the evening still in summer clothes, no jacket required, the sun is down and yet is gloriously warm without the burning heat of the sun. To me that is simply amazing! Not to mention the beauty of fireflies or lightening bugs depending on where you are from! In the last few years, however, I have tried to embrace and see the gifts of winter. What beauty might be found in winter? If winter is analogy for our lives, what beauty can I find in the winters of my life journey? So let’s begin by looking at the beauty found in nature. I love the world after a blanket of snow covers the ground – particularly if I am not moving or needing to be somewhere and can just embrace enjoying the world blanketed in white. Williamsburg covered in snow is a beauty to behold. There is a silence as Mary Oliver describes in her poem that comes with the snow. The world seems to have hushed. You almost want to whisper in order not to disturb the silence. So maybe the first gift of winter is to embrace silence. In our society noise everywhere – everywhere we go we are inundated with the sounds of people and music. Winter invites us into silence; the kind of hushed silence that comes with the blanket of snow. The kind of silence that comes at the beach in the winter, when the sound of frolicking and playing at the beach has stilled; when all one hears is the crashing of the waves along the beach! There is a hush there too as one can stand at the shore and watch and listen as the waves build up and come crashing in and then slowly recede back again. How often do you spend in silence just listening to the sounds around you? How often does this community of UUCOB embrace silence? Sitting together in silence is powerful. Sitting and listening to each other breathe. Sitting with our thoughts and feelings, the silence then is not simply the absence of sound. It is a silence filled with possibility; filled with a different sort of community. Mary Oliver tells us that the answers to the swirling questions, comes in the silence! Parker Palmer talks about the clarity of winter (Let Your Life Speak). The bareness of the trees allows us to see them standing singly, grounded in the earth, each one distinct from the other. There is a starkness there. We miss the green leaves, the beauty of the leaves and flowers. The grass is brown and bare. Palmer reminds us that winter is a season of rest and renewal, a time when nature dials it down to renew itself. Another analogy is the cycle of the moon. We have just experienced the beauty and grandeur of the full moon and now its descent to darkness begins. When the moon is not visible, it allows the stars to appear that much brighter. There is a beautiful folk tale that speaks of the moon growing big and then growing tired and needing to get smaller to rest in order to grow bright once more. The stark clarity of the winters of our lives is both beautiful and terrifying. When we have lost a person we have loved, their absence is deeply and painfully felt. At first, the very memories of the person are filled with the pain of loss and grief. Yet there is a way, in time, that the memories come to be a blessing, a reminder that those we love live on in our hearts and minds. In those times of loss that are about the loss of dreams, the loss of jobs, the consequences of choices made it can be hard to face the truth. In those moments truth can become abundantly clear. Parker Palmer in his discussion of winter talks about the advice to “get out into it.” Here in the south, severe winter weather is so rare that the only thing to do is to stay inside, enjoy heat, a warm beverage and the fact that you have no other option but to stop. Here winter weather is an invitation to rest. Yet in other parts of the world where snow and cold temperatures are commonplace - people learn to get out into it! They have the clothing, they know how to stay warm and they embrace going out into the weather. Like Elmer, they learn to thrive in the winter! My family during the big snow storm here, got out the next day, shoveling and having a really fun snowball fight. We got out into it! Palmer invites us to do the same with the winters in our lives. Can we embrace the loss, our fears, our failures? Can we instead of running from them, dive deep into and through them? Like Elmer can we embrace our specialness even when it is not understood, even by those closest to us? Whyte invites us not to fight the darkness but to embrace it, to enter it, to allow it to heal us. Winter can have a similar affect. Can we embrace the cold, stark beauty of the season? Can we dive into it? Embrace it! It may not be the warm, amazing feeling of a warm summer night, yet it has its own beauty and its own lessons to teach. Elmer and his father in our story embrace winter in the forest! They do what no other duck had done – survived winter in the forest! Yet embracing our fears, diving deep into difficult emotions is not easy. Diving deep to learn new truths about ourselves, to become more authentically ourselves is not easy. In my own life, the seasons of winter, those times of loss, those times of challenge. Times when I have felt burnt out and lost. They have also been times of deep awakening and learning. Times that I have learned to own in new ways who I really am, to claim my own gifts and my own voice. There are plenty of people to tell all of us who we “should” be and it takes action on our part to become who we truly are. Like Elmer we can find our specialness, our uniqueness can cause us to feel lonely at times. This congregation has been in a time of transition, a time of wandering. Grieving the loss of a leader; learning to make it through without her guidance and voice. Yet what has this taught you? What have you as a community learned about yourselves? I can tell you what I have seen. I have felt how deeply you value ministerial leadership. I have seen it in the ways you have shared your stories with me. You have shared your hopes and your dreams and yes your fears too. Fears that you are too small. Fears that there are not enough people to do the work. Fears that there is not enough money to be the community you long to be. I have heard the ways you feel like you don’t count or live up to the expectations out there; that somehow because you are not a mid-size or large congregation that you are then “less than.” That somehow if you cannot demonstrate numerical growth then there must be something wrong with you. Yet I see so much here. First you are a truly welcoming group of people. I see your care and concern for one another. One of the gifts of your size is that you do all know one another. You know what is going on in each other’s lives and you take the time to acknowledge it. And it is not just about your pastoral care team – who are amazing by the way. It is all of you. You enjoy each other and have fun together – the chocolate auction is a perfect example. You know your story and you are proud of it! For a congregation your size the fact that you have your own building and are not far from paying off the mortgage, have a part time minister and have been so active in the community of the Outer Banks is simply amazing. Most other congregations your size are lay led and many are renting space. Many don’t even meet every Sunday. There is much to celebrate here! I will say it again, as I have traveled around Virginia in these last six weeks, you are well regarded out there. I tell people I am here and I get such positive feedback about all of you both from lay people and my colleagues! Yes you have concerns and fears – they are common fears. What is amazing is that your concerns about leadership and burn out, about finances are common across the board. You feel it acutely because of your size. What if you were to embrace those challenges? What if they became transformed from insurmountable obstacles to exciting challenges? Like the slalom skiers – navigating the gates, can you see the obstacles as gates to be navigated, adding to the thrill of the work and not as obstacles impossible to overcome? What if the obstacles became opportunities? It is only recently that I understood the power of re-framing. Recently I had something come to pass that I had been dreading. No one became ill, no one died. It was just an event that I had not wanted to happen and it did. Like the winter storms of late – snow, ice, rain. Yet it happened and in the end I was still here. My family was together. I was not alone. It opened up new possibilities. When I saw this terrible thing not as a terrible thing but as an opportunity it shifted my energy and how I was able to deal with it. Suddenly I had the capacity to face it head on. Now that doesn't mean it was not hard, this is a not a Pollyanna, rose colored glasses, living in denial approach, rather in choosing, intentionally to see opportunity and possibility, it changed it me and my approach to it. What if instead of seeing your small size as a problem or hindrance, you saw it as a gift? This does not exclude growth or welcoming new people – rather it is about embracing and loving who you are right now and who you are becoming! What if you saw your location in the Outer Banks, as a congregation with a seasonal component as the opportunity to minister to people in new and creative ways? What gifts do you have to offer to those coming to the Outer Banks to vacation? What opportunities might these summer visitors offer you in terms of ways to serve and ways to raise money? How could you become a visible voice of liberal religious community to people coming from other places as well as those that live here year round? Perhaps a spiritual respite from busy lives? As I continue to minister with all of you I will invite you to consider these questions. What are your gifts? How can obstacles become opportunities? How can you embrace the gifts of winter, here at the beach? I suspect that those of you who have lived here a long time already know the beauty of winters at the beach. Maybe for some of you, it has become your favorite time. I look forward to learning from you to see the unique beauty of this end of winter time here at the Outer Banks! So let’s learn to embrace winter together! Celebrate the quiet, see the gifts in small packages and prepare for the blooming of a new season.